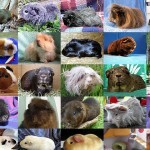 There are a lot of different Guinea Pig breeds. 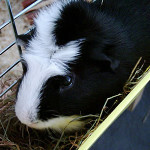 This page expains all different breeds and helps to determine the breed of your cavies. [Auto translated] Cavies come along in very difficult appearance and behaviour. 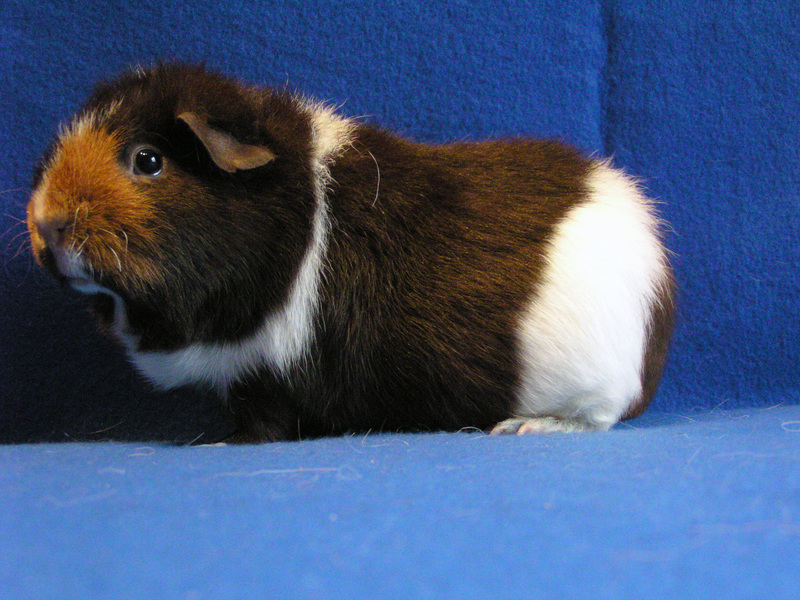 Breeders have created a lot of different types of Guinea Pigs by selective breeding to emerge some characteristics or even to avoid it. 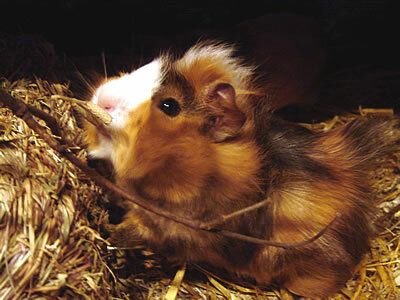 Different breedings are defined by some organisations wordwide and for most types of cavies there is a consensus of dertermining them. This page explains the definitions and tells you how you can determine your pigs. 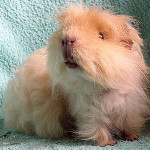 «To what kind of breed does your cavy belong to?» This question may swamp Guinea Pig owners because there are really a lot of different breeds out there and many cavy owners have no idea to what breeds their Guinea Pigs exactly belongs to. 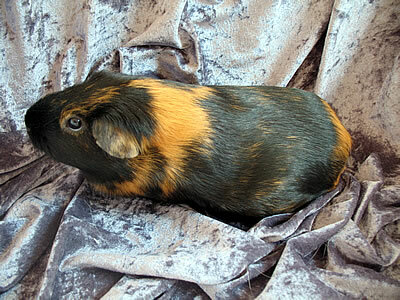 But to determine the breed of a cavy is not as complicated as it seems if you have a detailled look for it. 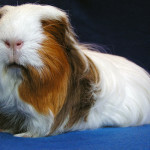 At first all cavies are separated in the top categories of long-haired or short-haired and this two categories contains a lot of more breeds in it. All known differences are a result of domestication and specific breeding of course. 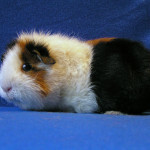 If we take a look around the world we’ll find a lot more breeds out there because Guinea Pigs are not only used as sweet domesticated animals. 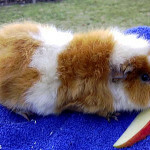 There are fattened animals as well as skinny pigs or cavies with a very special fur. There are a lot of myths outthere wich impute individual temperament and characteristicals to breeds. We think it is deeply shady and it conflicts with all of our longtime experience. So we intent to describe breeds only by the well known distincts and leave the esotericism untouched. Furthermore there are some specific differences of breed definitions. Our descriptions are from the european point of view and might conflict with definitions given by the ABCA. 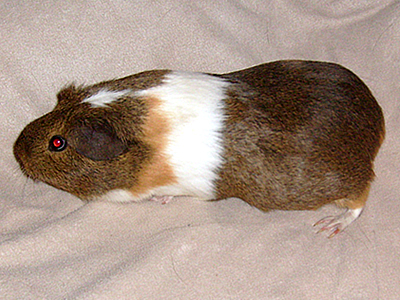 The American cavy ist the most common type of all Guinea Pigs and domesticated almost worldwide. Its fur is short and tight. The colors varying. 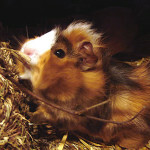 These cavies have also a short and tight fur. 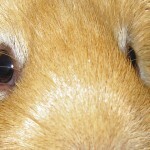 The difference to the default American cavy is the swirl on its forehead. 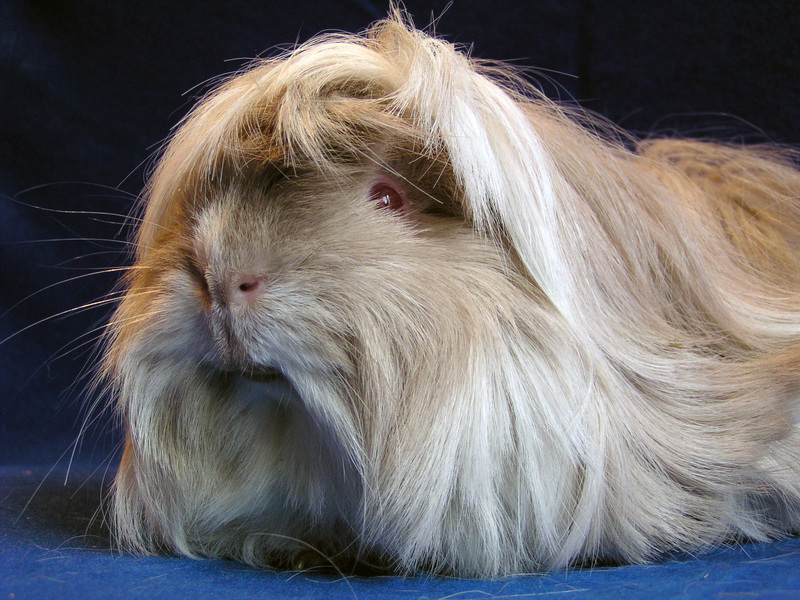 Crested cavies come in two variants: If the crest is in main fur color it is called a English Crested. 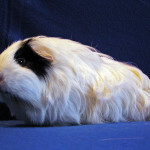 If its swirl has white color it is called American Crested. The short hair Peruvian might not look as it is specified as a short-haired. But if you take a look to the long-haired breed you will understand this fact because the short haired fur won’t grow that much. 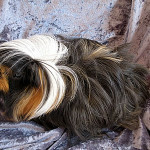 The Peruvian has two swirls on its back, comes in various colors and its fur is mid-length. This kind has exact eight cowlicks on its back. Four of them are directly on its back. Two of them are at its haunch and the other two cowlicks are at the front of its body. 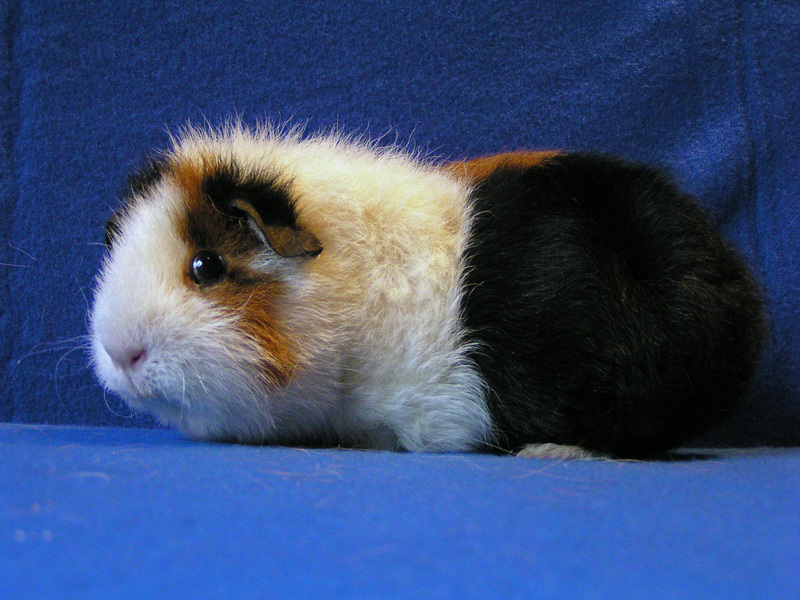 The fur is mid-length and the color varied. The wooly-pig! 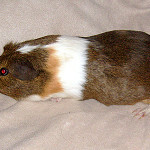 Rex is a short-haired cavy with very curly distant hair without guard-hair. The length is at max 35mm but due to its curliness it is close-fitting on its body. You might confound US-Teddys with Rex but the fur is more tight and shorter. The peritoneum is smoother than the hair on its back. At least there are two different hair types: Wirily and fluffy. 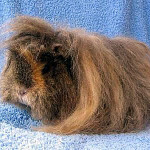 The CH-Teddy has longer hair than other Teddys or Rex cavies. The fur is tight – at least 60mm long and distant. Swirls are not allowed. A crest is undesired but almost accepted. The Ridgeback has a continuous hair comb on its back starting from its ears along the whole spine. The fur length is ~25mm and has no swirls. Because of its cowlicks they belongs to the Abyssinian. 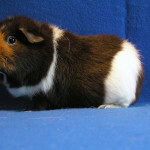 The difference is that Somali has curly short and close fitting hair like Rex or Teddy cavies. The Curly is a quite new breed. 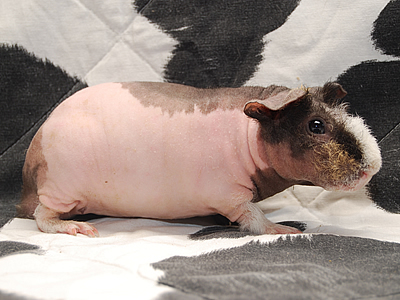 The fur of a curly is distant and abrasively and has two swirls on the pigs haunch. 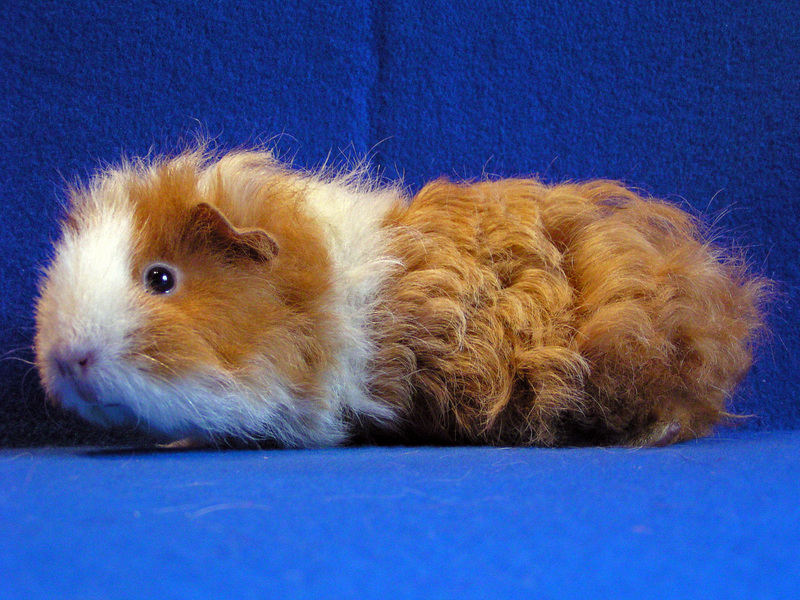 A Curly with cowlicks is called a Curly Abyssinian – this is shown on the picture. The heredity transmission of its curliness fur is dominant. 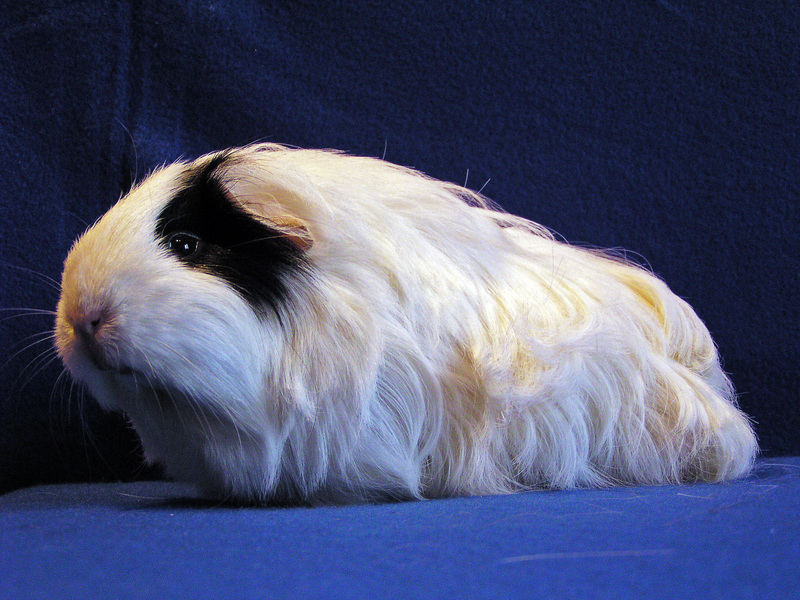 Long-haired cavies needs more attention in keeping them. This is the reason wherefore they are a more suitable for faddists. Especially in the summer or regions with high temperature >25°C / 77°F you have to cut the hair regulary to prevent heat stroke and / or circulatory troubles. Also the fur has to be cutted to retain its motivity active. The fur at their bottom should be cutted really short to prevent impurity and vermins. The Silkie is like the American but with longer and growing hair. 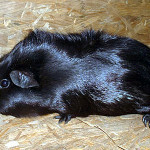 The fur is lying rearwards and the fur on its head is quite shorter. Silkie does not have any swirls. 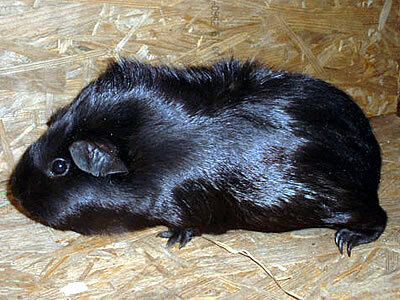 The Coronet Cavy is like the Silkie but it has a short-haired crest on its head. 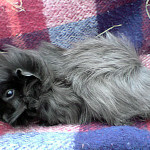 The fur beside the head is long-haired and lying rearwards. So it is a perfect combination of a Silkie and a Crested. 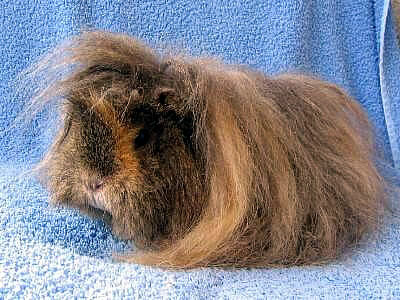 The very special characteristics of a Peruvian cavy is that its scalp hair falls down over its eyes if you won’t prevent it. 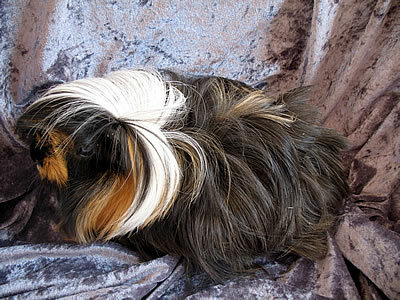 The hair of a Peruvian is almost the longest of all cavies. Pay attention to it if you get one! Angora is a old definition and still well known in europe but might not be familiar elsewehere today. 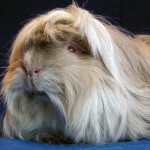 The Angora cavy has eight cowlicks at the same place like the Aby : four on its back, two at its haunch two at the front. A Texel does not have any swirls but curly hair like the Rex in long version. The fur on its head is short and curly too. 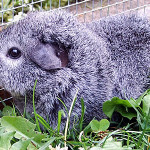 The Merino is the curly version of a Coronet cavy. It has long curly fur on its body and short frizzly fur on its head. Merinos have swirls on its forehead. The mohair is nowhere a offical accepted breed – neigther the name nor the breed. 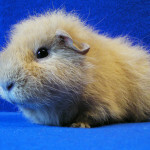 It is a combination of a Angora (Silkie) and Texel and has long curly fur with cowlicks. The Alpace is a Peruvian with curly fur. It has two cowlicks and swirls on its head too. 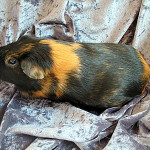 The “sheep-cavy”. 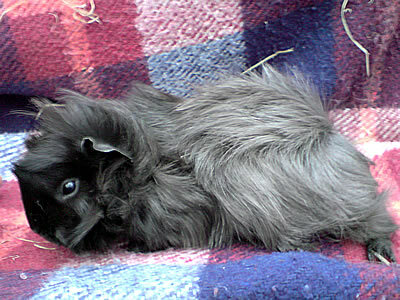 This is a quite new and non widespread breed and can be qualified as the long-haired version of a Curly Cavy. There are three different types known: Lunkarya-Silkie, Linkarya-Peruvian als well as Lunkarya-Coronet. The fur is long, abrasively and distant so you can care about it much better than long-haired versions with smooth hair. 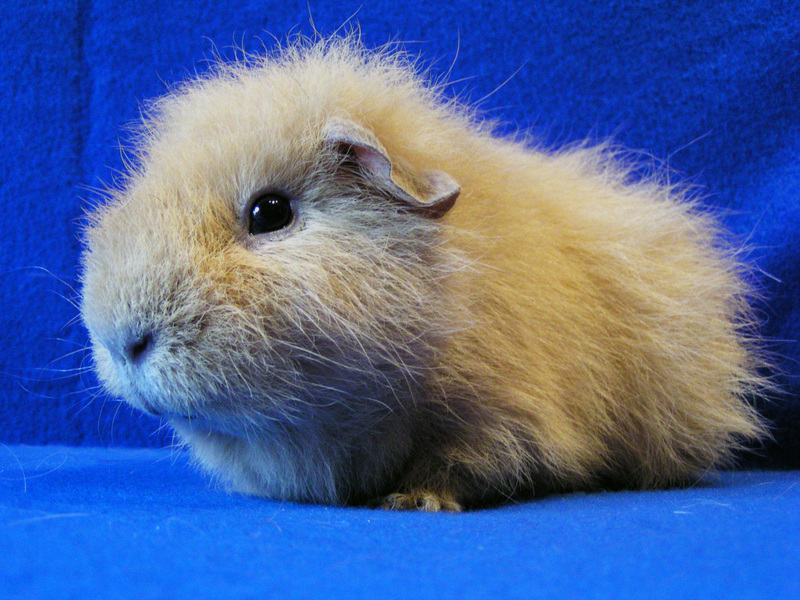 This is a very special breed because one of the most specific characteristic, the fur, is missing. 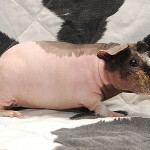 A skinny cavy comes along without fur. For this reason they need much more (~30%) fodder to compensate the heat insulation of its missing fur. 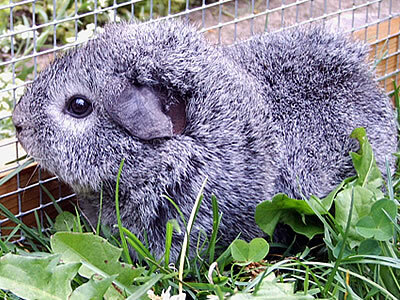 Keeping Skinny Guinea Pigs outside is not possible in colder regions with temperatures <20°C / 68°F at night due to the risk of hypothermia. There are two different breedings familiar: Skinny and Baldwin. 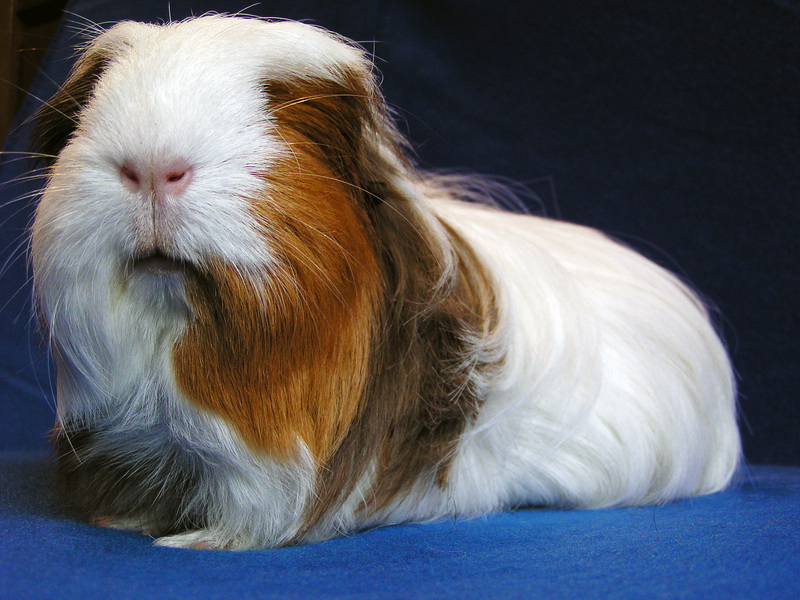 Breeding Skinny Guinea Pigs is disputed in some countrys – especially in Europe. Cuys are the biggest Guinea Pigs ever breeded. The origin of Cuys is South-Amerika where they was breeded for food and as bigger they are the more meat they could deliver, so they focus on weight. 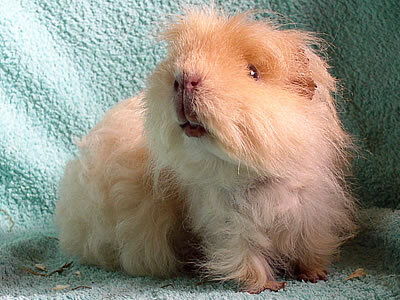 Meanwhile Cuys are widespread domesticated all over the world by pet lovers. Its weight can be up to 4Kg / 8lb and its length can be 50cm / 11 inch. There are some sub-breeds known and the Cobayo is the most common. Keekings Cuys is more complicated due to its special characteristics. 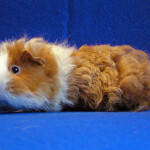 They need much bigger cages and they are very shy and skittish. Furthermore they gain in weight very quick so you have to pay attention in feeding. The life expectancy is about three years and therefore much lower than other breeds. At least Cuys are really not suitable for children. As you can see, there are a lot of different breedings familiar. But not every breed is well known everywhere and other breedings are completly disputed elsewhere. 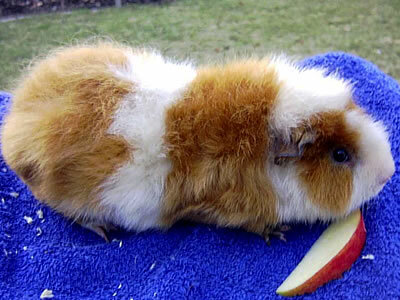 Whatever: Every cavy born should have the chance to a life as good and as appropriate to the species as possible. Thanks to all who spend images for this page! If I’m allergic to one bread will I be allergic to all of them ?? 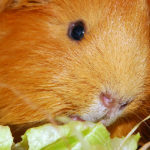 In short words: Yes you are most likely allergic to all breeds if you are allergic to one – but not every allergy is caused by the cavy itself. 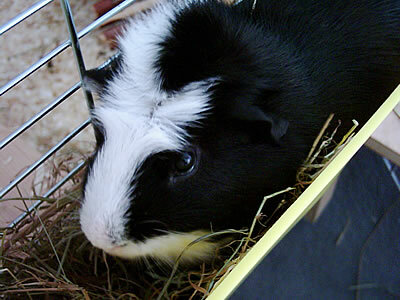 In many cases hay or litter cause allergic reaction and by changing to another litter you can prevent many problems for you or your piggies.